Self-Confidence – The most significant benefit of martial arts training for children is their boosted self-confidence. It won’t happen overnight (and maybe not for sometime), but increased self-confidence is eventually acquired due to improved physical fitness, coordination, personal security, discipline, camaraderie, and calm. This boosted self-confidence will propel them to make proper choices in their young lives. Physical Fitness – The benefits of physical exercise for kids have been well documented. According to the American Council on Exercise, physically active children have fewer chronic health problems than kids who are sedentary. Our martial arts classes provide a full body workout that creates powerful and supple bodies and combats the growing rate of obese children (and adults). Teaching children the value of physical fitness is vital to helping them become fit, healthy adults. Physical Coordination – Aside from exercising all the major joints and muscle groups and the incremental improvements in fitness, martial arts training develops physical coordination and balance, which is particularly important as kids enter the awkward growing stages. It can also develop their abilities in sports, athletics, dance, music, and basic living. Personal Security – Bullying is nothing new in society. Kids have had to deal with bullies for centuries – probably millennia. Kids who are preyed upon by bullies, or reside in neighborhoods where street violence is common, the ability to defend themselves allows them peace of mind. In most cases, they never have to use their martial arts techniques on someone. Their increased awareness and presence deters violence. Concentration – Improved concentration is natural byproduct of kung fu training. There are a lot of movements and techniques to learn and there is pressure to focus the mind and do them correctly. This will undoubtedly pay dividends in school. Of course, many university admissions look highly at prospective students who’ve reached the higher levels of martial arts. 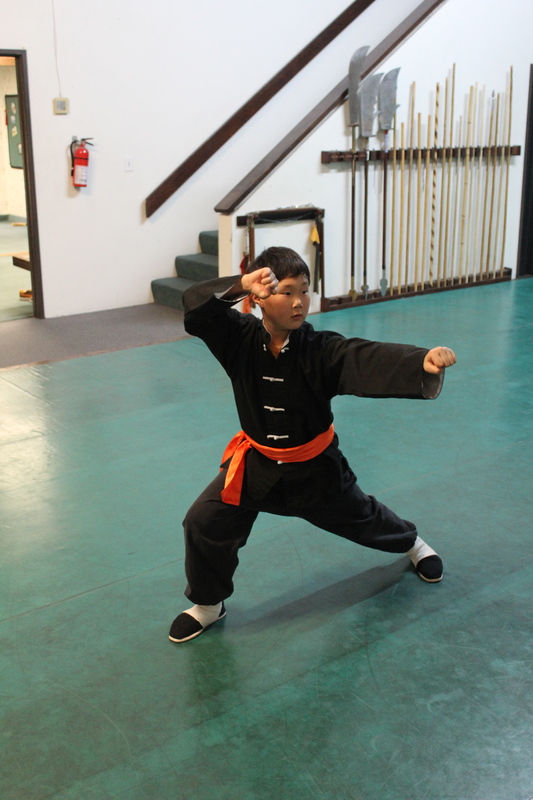 Discipline – While discipline is more often than not initiated by the instructor and the senior students on their younger kung fu brothers and sisters at the beginning of the student’s training, eventually students develop their own discipline. This discipline we call “self-discipline”. It occurs when a student begins to take pride in their ability and forms tangible goals for their development. Learning this in kung fu at an early age can create a pattern for life of developing goals and sacrificing to achieve them. Additionally, the regimented nature of martial arts instruction fosters a deep sense of self-discipline in students. One can’t become a legitimate black belt overnight, and so students learn that their worthy goals will require patience, hard work, and dedicated study over several years. The message is that it it’s worth anything, it’s worth working for. Camaraderie – Martial arts students feel a strong sense of camaraderie with their fellow students. This feeling of fellowship is based primarily on shared experiences and surpassing of challenges, but is also based in tradition. The sense that the martial arts are special, and learning martial arts is a special privilege, remains. Respect – Showing respect is intrinsic to the martial arts, and is a core facet of the cultures from which many martial arts originate. Students show respect to each other, their instructor, and even to their school upon joining each class session. This encompasses several messages: gratitude, for the learning the student receives, and respect, an acknowledgement of the other person’s abilities. Martial arts teach students to value age, rank, expertise, and experience. Respecting those who know more than you do (greater expertise), and have proven it (higher rank) shows that you are worthy of them teaching you their knowledge. This respect for instructors and senior students can often carry over to classes in regular schools as well. Calm – Martial arts classes, because of their intense workouts, allow students to release nervous energy until they are drained from the exertion. Working up a good sweat has always been a great way to diffuse anger. 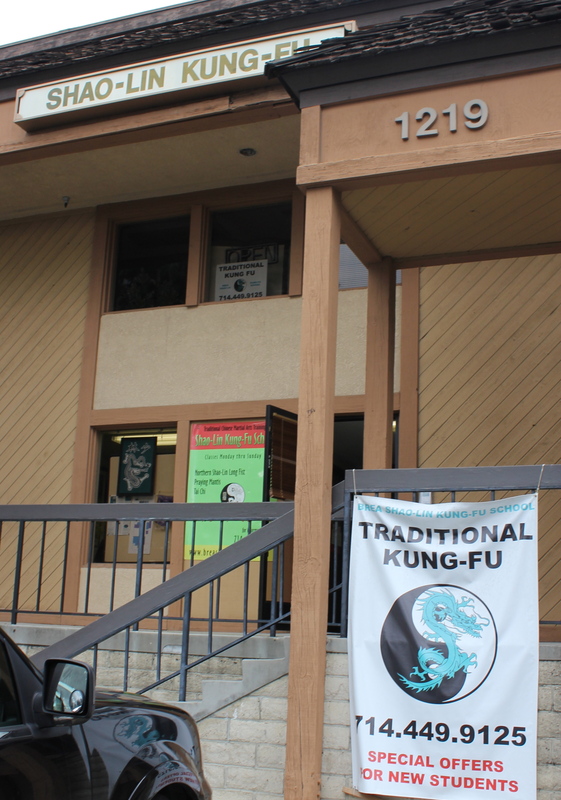 Experienced martial artists exhibit calmness outside of the training hall as well. This inner peace is due to several factors, but is probably a result of experiencing stressful situations when learning self-defense –and overcoming them. The confidence gained through mastery of martial arts techniques also lends itself to keeping calm in stressful situations. Fun – Kung fu is fun to learn!